A landmark in every child’s math education, multiplication tables are the foundation on which advanced concepts are taught in school. Double your kid’s learning speed with interactive multiplication games! 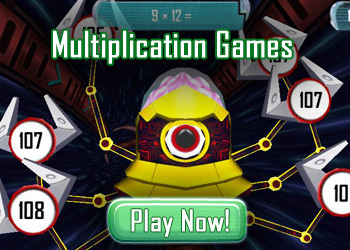 The multiplication games in the virtual world here at Math Blaster are fun and easy to do, giving kids the opportunity to practice their tables and have fun in the process. There is a host of multiplication games available online. From simple ones that make learning the times tables more fun to more advanced ones that involve solving multiplication problems to move ahead in the game, there are problems for kids of all ages. Multiplication is a math skill that kids need to know well. While multiplication and division are generally taught in third grade, parents can introduce the concepts to their kids early on. To introduce multiplication, ask your child how much two toys will cost if one toy costs $5. Or, to introduce division, ask your child to calculate how many toys they could get for $10. While the kids may initially use a series of additions to solve the problem, they will gradually begin to understand the concept of multiplication. There are many ways in which parents can expose kids to multiplication and division by integrating it with their everyday activities. Giving kids multiplication problems and worksheets to solve in class is an effective way to get them to practice their math skills. On the other hand, engaging them with cool multiplication games will double their interest in grasping the concept! 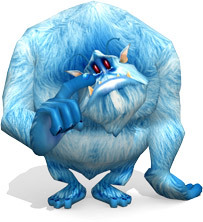 The virtual worlds at Math Blaster and JumpStart have a variety of math games that involve solving multiplication problems. Here, kids are transported into a different universe where they have the flexibility to choose what kind of problems they want to solve. 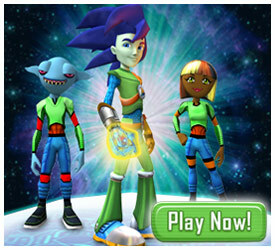 So get kids started on fun online multiplication games and watch the magic. Their learning is bound to multiply!